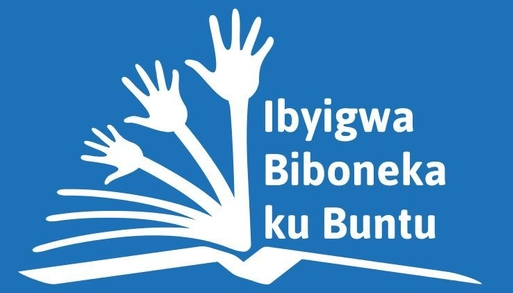 In the second in our series of blog posts on open education around the world Bernard Nkuyubwatsi, a PhD research student at the Institute of Learning Innovation, University of Leicester, has written about the current situation in Rwanda. Bernard’s research focuses on Massive Open Online Courses (MOOCs) and Open Educational Resources (OER) for widening participation in Rwandan Higher Education. Prior to joining the Institute of Learning Innovation he worked for Kigali Health Institute (KHI) in Rwanda as a member of the institution’s Admission Board for six years. He has also volunteered at the Rwandan Education Board where he drafted of the concept paper for the University of Rwanda’s College of Open and Distance Learning (CODL). This work led to the appointment of the Task Force and Working Group on the CODL by Rwanda’s Ministry of Education in 2012. 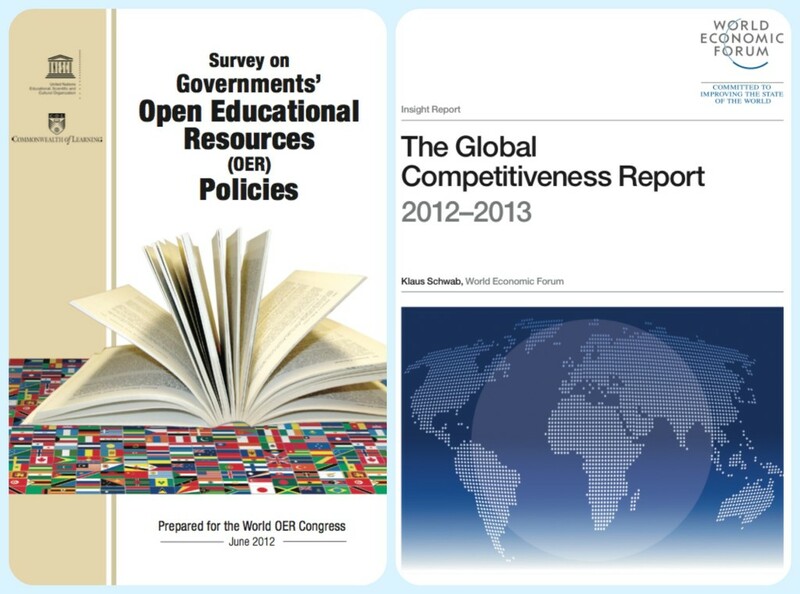 Bernard has been involved in the Global OER Graduate Network (GN-GO) since March 2013. 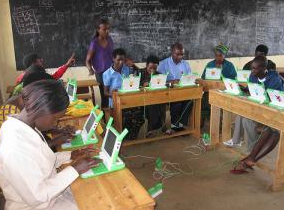 There have been a couple of initiatives that aimed at opening up education in Rwanda. The Open Learning Exchange Rwanda has been making educational resources more accessible and One Laptop per Child has distributed more than 100,000 laptops and aims to hit 500,000 computers distributed in primary schools. There have also been sessions that articulated good aspirations like the Siyavula meeting. The most compelling accomplishment in opening up education in Rwanda is probably a high primary school enrolment, which was 98.7 percent in 2010. However, the road is still steep for secondary education (35.8 percent) and more importantly, higher education (5.5 percent). At tertiary education level, Kigali Institute of Education has been running distance-learning courses. Started in 2001 with 500 students, the programme currently enrolls 2500 students. This institution was also involved in the development of Open Educational Resources (OER) via Teacher Education in Sub Saharan Africa (TESSA). However, participation in the OERs developed has not have impact beyond the faculty staff member who was involved in the project and his colleagues. According to Wolfenden (2012), these materials were used to support lectures delivered to face-to-face students at this institution. This author also notes that despite institutional and political leaders’ statements of commitment to the TESSA project, OER were not imbedded and used in the mainstream education. The National University of Rwanda also has the Department of Open and Distance Learning on its website, but it is not clear if this department has been able to do anything beyond the office. Other institutions such as Kigali Health Institute have a link to open educational resources on their websites. However, the use of these resources is not incorporated in the mainstream institutional teaching. In the UNESCO and Commonwealth of Learning Survey on Governments’ Open Educational Resources (OER) Policies, it was noted that OER are used in Rwanda by enthusiastic teachers on their own initiative. Yet, many studies revealed that the use of OER tend not to thrive where there are no supporting policies (Butcher, 2011, Bateman et al., 2012, Wyk, 2012, Conole, 2013). The existence of institutional, even national policies that support the use of OER is more likely to boost the adoption of these resources and open courses beyond the individual level. In effort to make tertiary education more accessible to people in Rwanda, a Task Force was appointed by the Ministry of Education to study the design and implementation of a College of Open and Distance Education. This college was expected to make tertiary education more scalable and more accessible than previous endeavours. In its final report, this Task Force recommended the adoption of open standards and open educational practices to be able to provide a cost-effective higher education. Open educational practices can be adopted by promoting the use of existing OER materials and open courses, openly licensing materials developed with public funds as well as putting in place policies that enable open assessment, open certification and open accreditation. Using this strategy, the Government of Rwanda would be able to overcome the financial constraints it is currently facing while maintaining and even including more students within the higher education system. We recognize the presence of those constraints; but also, we acknowledge that the financial difficulties threaten not only the Government, but also the overwhelming majority of the population of Rwanda. The gross domestic product per capita in Rwanda is still around $600, less than the annual tuition fee in public higher education. That is why we believe that an alternative within the line of open educational practices would help in finding a solution that makes value for Government of Rwanda, students and other stakeholders in tertiary education. Recently, the Government of Rwanda attempted to cancel student loans for tertiary education. However, this move has led to massive student complaints, which culminated in some of them being arrested by the National Police. We appreciate the way the Government subsequently revoked the student loan cancelation. However, we also feel compelled to contribute to overcoming the financial difficulties in a way that make value to all stakeholders in tertiary education. In this Change.org petition, we are calling on the Government of Rwanda, through the Ministry of Education, to initiate consultation between all stakeholders in tertiary education to devise strategies to create educational opportunities within the open educational practices line. We are not only urging the Government to take this path; we are also offering to contribute our expertise to make it happen. We believe that, working together, we can make Rwanda a better living place, in which the youth, rich and poor, have the hope for a brighter future because they have been given opportunity to education. The Government, decision makers in tertiary education, academics, researchers, students and entrepreneurs, we all can contribute to opening up tertiary education. If we bring our forces together and learn from other best open educational practices from around the world, we will be able to make education more accessible in a cost-effective manner. Wolfenden, F. (2012) ‘OER production and adaptation through networking across Sub-Saharan Africa: Learning from TESSA’, in Glennie, J., Harley, K., Butcher, N. and Wyk, T.V. (eds) Open Educational Resources and Changes in Higher Education: Reflection from Practice, Vancouver, Commonwealth of Learning. Wyk, T.V. (2012) ‘Taking OER beyond the OER community: Policy issues and priority’ in Glennie, J., Harley, K., Butcher, N. and Wyk, T.V. (eds) Open Educational Resources and Changes in Higher Education: Reflection from Practice, Vancouver, Commonwealth of Learning. Conole, G. (2013) Designing for Learning in an Open World, New York, Springer. Thanks for finally talking about >Open Education Rwanda | Open Education Working Group <Liked it!